FOREWORD: I was a little nervous prior to doing an interview with XTC frontman Andy Partridge since I was a big fan since the late-‘70s and thought he’d be a bit distant due to the fact he liked the seclusion of working at home. But I was wrong. I couldn’t ask for a more straightforward individual. His band, XTC, made Beatlesque pop music that went against the grain of the harder-edged Brit-punk he competed against on the English charts. 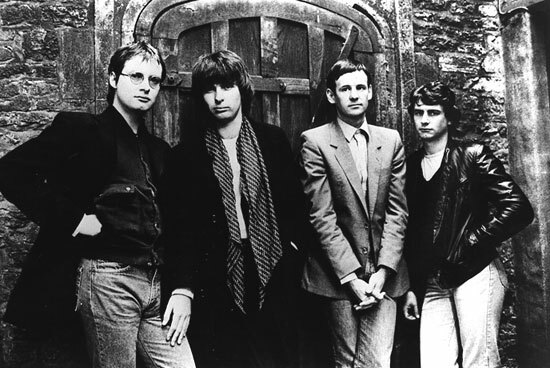 Here in America, XTC lacked commercial airplay despite being one of the most accessible pop bands of its time. After this piece promoting ‘99s Apple Venus Volume 1, Partridge did a follow-up Apple Venus record and took a long Sabbatical. This article originally appeared in Aquarian Weekly. 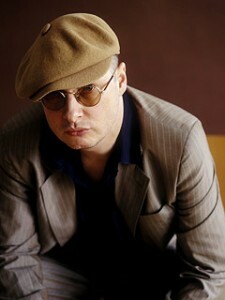 Possibly the greatest exponent of Beatlesque Brit-pop, Andy Partridge (along with partners Colin Moulding and the recently departed Dave Gregory) started XTC during the ’77 punk revolution. A working class chum from the English town of Swindon, Partridge’s sheer passion for wholly embracing melodic hooks and eccentric musical abstractions made XTC a desirable commodity throughout the ‘80s. Eleven handy studio albums and various charismatic singles confirm XTC’s expert ability at polishing deftly skewed, amiably eclectic, whimsical ideas. But XTC could get serious about social issues if need be. Dealing with making ends meet on a domestic level are the catchy “Love On A Farm Boys Wages” and the upbeat “Earn Enough For Us.” Whistled militaristic thistle “Generals & Majors” wrestled war mongrels. 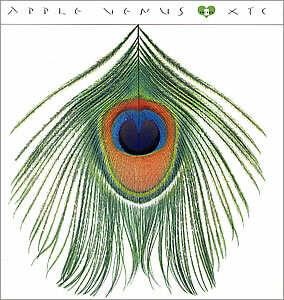 Following an extended layoff after ‘92s Nonsuch, XTC decided to temporarily drop their art-rock giddiness for an acoustically compelling orchestral maneuver, triumphing over painstaking labor on ‘99s Apple Venus Volume 1. Complex, sophisticated, and mature, its overall infectious spirit gets countered by the vicious sideswipe, “Your Dictionary,” the sourly dampened “I Can’t Own Her,” (both reveal Partridge’s bitter divorce), and the eerily contemplative “Last Balloon.” Interestingly, many of Apple Venus’ songs were written on Partridge’s daughter’s two-third-scale school guitar, which cost a mere 35 pounds and was made in Romania. First, tell me about the BBC cassette collection, Transistor Blast. ANDY: I had a bit of a revelation when I put it on the little tape player in the kitchen. I put it on with a bit of trepidation. I thought it would sound naïve and clumsy. Some of the stuff is twenty years old. But I was kind of delighted with how charming it was. I thought it would be appalling, naked baby photos. Most songs are pretty live. You get usually a whole afternoon to record a song with maybe an overdub. They have an intensity and urgency that might have been missing from the studio albums. You’ve fooled around with orchestral arrangements before. Was it difficult coming up with so many for Apple Venus Volume 1? ANDY: I wanted to get into orchestral textures more. Many arrangements were done with one finger on the synthesizer with orchestral samples to plot out what the orchestra would play. Mike Batt, who’s famous in England for these furry ecological puppets the Wobbles, helped work the chords for “Greenman” and had a free hand arranging “I Can’t Own Her.” We did it on the fly over the phone. With the phone under his chin sitting at the piano, he’d suggest what the violins and cellos would play. There’s usually an acoustic backbone of guitar and piano, and then the orchestral flesh. I think I write outdoor songs, and Colin writes indoor songs, and somewhere they meet. Would “I’d Like That” be an indoor song? ANDY: No. Most of it takes place outdoors. We’re cycling down lanes; we’re rowing the boat on the lake. I thought that song sounded like Paul Mc Cartney circa Ram, or specifically, “Another Day,” doused with sunshiny psychedelia. ANDY: (laughter) Touche, monsieur pussycat. He’s been a pretty big influence in my life. It’s one of the simpler little tunes. “Easter Theatre” seems surrounded in foggy surrealistic serendipity. ANDY: I found these earthy chords that suggested to me something bursting out through the ground, up out of the soil. It was an ascending pattern. I started writing words about the new life in springtime. But I was stuck for a chorus. Then, wham, this idea or a piece of music I had rattling in my brain for at least twelve years suddenly came around the corner and latched itself onto the song completely to my delight. I was in heaven. Again, a theme of mine, the death of the old creating the fuel to make the new, excited me. I’m fascinated by cycles of decay and birth. I’d guess the vicious diatribe, “Your Dictionary,” must be about decay? ANDY: It was the one luxury I allowed myself after divorce when I decided not to drown my sorrows in drink and not to write endless songs about swinging divorcees like Phil Collins did. But I had to allow myself one time to pull the cork out and let some of the puss drip from my head before I died. I felt so destroyed with the divorce, I had to wallow once and let the bile out. It was to exorcise some of the hurt. And I think vanity got the best of me and I played it for some people and they said, ‘Oh my God, you better record that.’ I felt icky about recording it because I didn’t write it to hurt, but rather to ease myself as a safety valve. I was drinking because I thought my relationship was crap and I was trying to escape and not face why it was crap. We were married too young and were incompatible. I knew it all along and more than a half-dozen songs point to the fact that my marriage would end in divorce. “Crocodile” from Nonsuch predicted it perfectly, but I had no idea at the time. A home demo B-side, “Always Winter, Never Christmas,” predicts the way my relationship was going. So I guess I knew it subconsciously. Skylarking may be my favorite XTC album. Todd Rundgren did great production but you mocked it after its release. Why? ANDY: It was difficult working with Todd. He’s a gifted arranger and damn good producer. But the two of us in one room was unbearable. Initially, I felt bad about the album. In hindsight, he did a great job. The whole experience with Todd was painful. If he’d been more personable, I’d make more records with him, but he’s definitely a solo sensation lacking in interpersonal skills. Why was the latest album entitled Apple Venus? ANDY: It originally was The History Of The Middle Ages since we’re middle-aged men and the songs were written when we were legally in the fridge (due to a one-sided contract with Virgin Records) and I was going through divorce. But Colin and Dave Gregory (who recently quit) insisted they weren’t middle aged. I heard people on the internet – besides claiming I shot John Lennon – had a theory my album titles come from previous songs. Now it’s purely coincidental Oranges and Lemons comes from “Ballet Of A Rainy Day” and that Nonsuch comes from “Chalkhills And Children.” So mischievously I took the phrase Apple Venus from “Then She Appeared.” So I thought it was the perfect fat, greasy, fructose, feminine, vulgar, horn of plenty phrase for the pagan fest which is the album. It didn’t make sense, but was the perfect name tag. Could you have made Apple Venus in the ‘70s when White Music debuted? ANDY: No. I wasn’t old or wise enough to know what to do with my life. I wanted to drink the world dry and be a giant ball of electric noise and blow up amplifiers. I wanted to be in a rock and roll gang. The person who made White Music wouldn’t know how to make Apple Venus. I liked the energy going on in ’77. I found a sympathetic movement. It wasn’t about music as much as energy and intent. You didn’t need to be a great musician. Unfortunately, that was swept out the window when fashion overtook punk. But the basic principles were worthwhile: don’t be intimidated. Good songs came as we honed our craft. Will you indulge in psychedelic side project Dukes Of Stratosphear again? ANDY: We killed them off in a bizarre kitchen accident. It involved a lot of Jell-O and a whisk. The Dukes were a fancy ball dress, but two LP’s was stretching it. Anonymous music is fun, though. Zappa did it with the doo-wop Ruben & The Jets, the Beach Boys did it with Carl & The Passions, and the Move did it with Eddie & The Falcons. When was this interview first published? Thanks.